Helen Farnsworth, from Kennebunk, may often be found with us on Mondays. We at Visibility have had the pleasure to know and love Helen for many years as we all lived in Kennebunk. Helen comes to us with a very diverse background. First, she brings 25 years of teaching experience. You’ll notice her great patience as you work with her. She enjoys taking time with everyone who comes into the Shop. In addition to her teaching, Helen was lead singer for 45 years in the well-known Kennebunk band, “Straight Lace”! If we could just get her to sing while she works… Helen loves helping our clients build outfits – accessorizing is her specialty! Donna Gillette is also from Kennebunk. What Donna brings to Visibility that we all love is her wonderful positive attitude. For most of her working career Donna was the Administrative Assistant to the Superintendent of Kennebunk School System. She has always been a dresser -loving fashion and shopping! We are thrilled to have Donna helping us out on Sundays… come by and say hello. She has the Visibility touch! 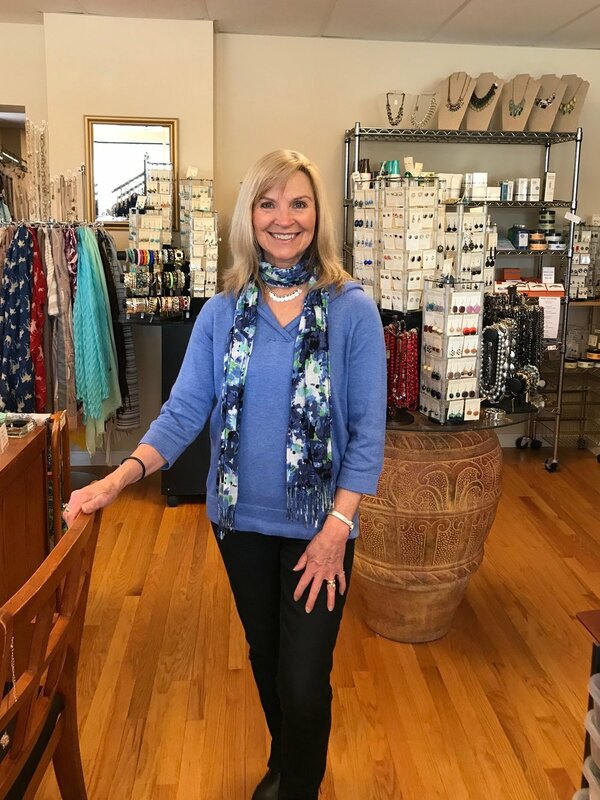 Nancy McCarthy Marsden from Cape Elizabeth began as one of our favorite customers and is now one of our favorite helpers. She is always complimented on her cheerful outlook and positive approach to all our customers. Among her many talent are her fearless computer skills. She looks great in all our Visibility clothes and eagerly helps our customers find their favorites too! Blah, blah, blah, this is where we vcn You know when you buy a pair of jeans that are just a little too big on the waist? Running to the tailor is a major time and money drain, and wearing an ordinary belt (ugh, that bulky buckle!) won't work either. Think about it, do you really want to put your favorite fitted top over the dreaded buckle bulge? We didn't — so we invented the Invisibelt — a smooth, undetectable belt with a flat clasp. Nicknamed the “No Buckle Belt” by its fans, the Invisibelt will help you look slim, finished and fabulous all day. It’s genius! You can thank us later.